Rose M. Diedrich, age 80, of Ogallala, passed away, Wednesday, January 23, 2019 at the Ogallala Community Hospital. Rose was born, July 3, 1938, to Clarence and Lillian (Fredickson) Schafersman, at Fremont, NE. Rose grew up in Telbasta, NE, graduating from Arlington, NE High School in 1956. After High School, she attended Wayne State College, in Wayne, NE for 1 year. In 1957, Rose moved to California for a year, and worked for California Milling Corporation, in Los Angeles. Rose moved back to Fremont in 1958 and worked for Hormel. Rose was united in marriage to William "Willy" Diedrich, in November of 1960, at Telbasta. The two of them made their home in Fremont, and in 1961 they welcomed their son, Clark. In 1963, the family moved to Valley, NE, where Rose went to work for Valmonth Industries. Rose and her family moved to Ogallala in 1965, where she worked for TRW until 1987. That same year she moved back to Fremont to care for her mother. 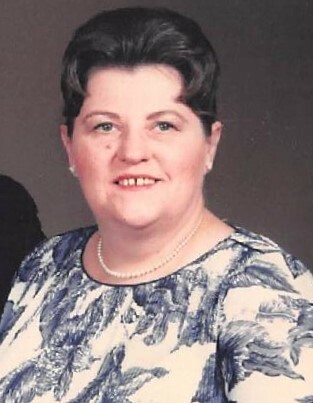 Rose went back to work at Hormel in 1988, and worked there until she retired in 2003. In 2016, Rose moved back to Ogallala to be closer to her son and grandchildren. She was preceded in death by; her husband; 1 brother, William Schafersman; and 1 sister; Barbara Bland. Rose is survived by; 1 son, Clark (Pam) Diedrich, of Brule, NE; 3 granddaughters; Lea (Justin) Kucks, of Olatha, KS; Misty Sedlacek, of Fort Collins, CO; Summer Diedrich, of Brule; and 3 great-grandsons. The family has chosen cremation. A private family committal will be held at a later date in the Telbasta Cemetery. A memorial has been established in her memory. Draucker Funeral Home has been entrusted with arrangements.